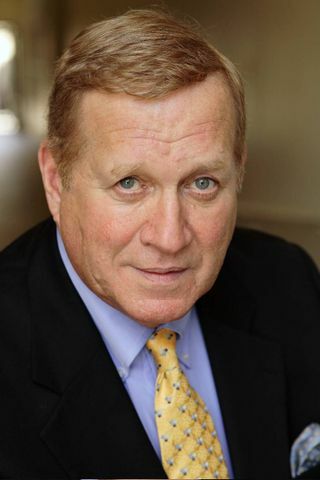 Howard, Ken | The Lambs, Inc.
Ken Howard (March 28, 1944 – March 23, 2016) served as SAG-AFTRA co-president after the historic merger of the two performers unions on March 30, 2012, and subsequently became the union’s first elected president. He previously served two terms as president of Screen Actors Guild. Howard led the effort to merge performers unions SAG and AFTRA, succeeding where two previous attempts had fallen short and creating. Howard has found success on the stage, in television and film. He helped create The White Shadow and starred in the groundbreaking television series from 1978-1982. He then went on to have recurring roles on shows such as Dynasty, Crossing Jordan, 30 Rock and Murder, She Wrote and has made guest starring appearances on numerous shows, including Cold Case, Curb Your Enthusiasm, NYPD Blue, The Practice, Boston Legal and Law & Order: SVU. Howard is a two-time Emmy Award winning actor, most recently in 2009 for Outstanding Supporting Actor for his role as ‘Phelan Beale’ in HBO’s critically acclaimed, Grey Gardens. On the big screen, Howard appeared in The Wedding Ringer, The Net, Clear and Present Danger, and as U.S. Attorney General Harlan F. Stone in J. Edgar and as Judge Warren in The Judge. Howard won a Tony award for his role in Child’s Play and made his professional debut on Broadway in 1968. Since then, he has performed in nearly 40 stage productions, seven of which were on Broadway. The veteran character actor has also portrayed several U.S. presidents in his career, including George Washington, Abraham Lincoln and Warren G. Harding. He originated the role of Thomas Jefferson in the Tony-winning musical, 1776. Other Broadway credits include Promises, Promises, Seesaw, 1600 Pennsylvania Avenue and Rumors. In March 2015, Howard joined the current U.S. president when he spoke at the White House in response to President Obama’s A Call to Arts initiative, which reached out to media and entertainment professionals through SAG-AFTRA and the American Film Institute to mentor the next generation of storytellers. Appearing with actor Hilary Swank, director Steve McQueen and other high-profile figures, Howard spoke on the importance of connecting with young people to encourage their creativity and help them get a strong start on a career in the entertainment and media industry. Fostering young artists has long been important to Howard, who spent three years in Cambridge, Massachusetts, (1986-89) teaching at the American Repertory Theatre, Harvard University and Harvard Law School. In 2012, he was a Croxton Lecturer in Film and Media Studies, teaching The Role and the Self at Amherst College. He also authored the book Act Natural: How to Speak to Any Audience, published by Random House in 2003, which offers a blueprint on how to effectively deliver presentations and speeches. Howard served on the board of directors of the Screen Actors Guild Foundation, was a trustee of The Actors Fund (founded by Lambs), represented SAG-AFTRA as a vice president on the AFL-CIO Executive Council, and was an executive board member and the national spokesperson for the Onyx and Breezy Foundation. The foundation offers financial aid to credible organizations and individuals who benefit the welfare of animals He served as a trustee for the American Film Institute and has served as Chancellor of the National Kidney Foundation for seven years. In 2015, The Lambs presented Howard with an honorary lifetime membership at a Shepherd’s luncheon. A video from that luncheon may be watched below.